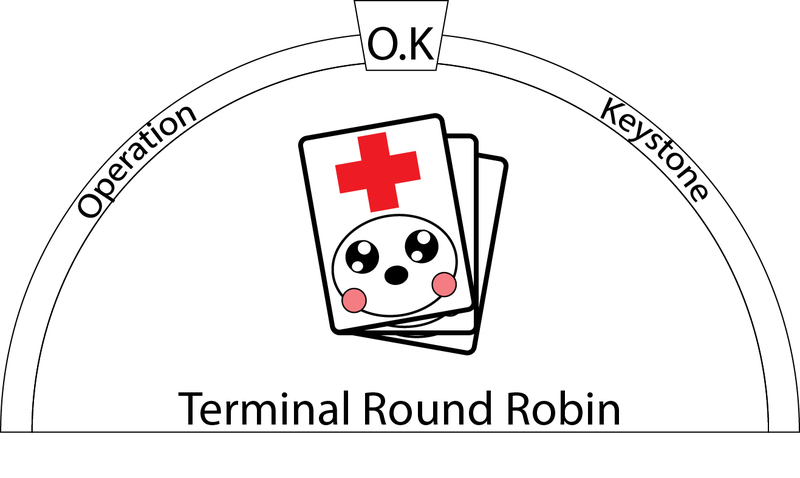 In summery it a round robin type game where each player (variable) has a hand of cards containing cures/management cards and disease vector cards that they replenish from a common deck. A separate disease deck in the middle where a card is drawn every round, players attempt to place cure cards to counter it, the player with the least effective card gets infected with the disease. 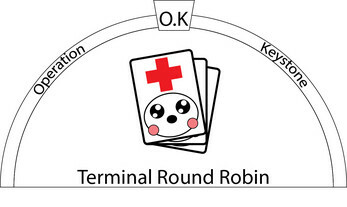 In the draw phase players are allowed to use disease vector cards if it matches way that disease can be spread and spread the infection to their friends, the goal of the game being to have the least amount of diseases at the end of the game.